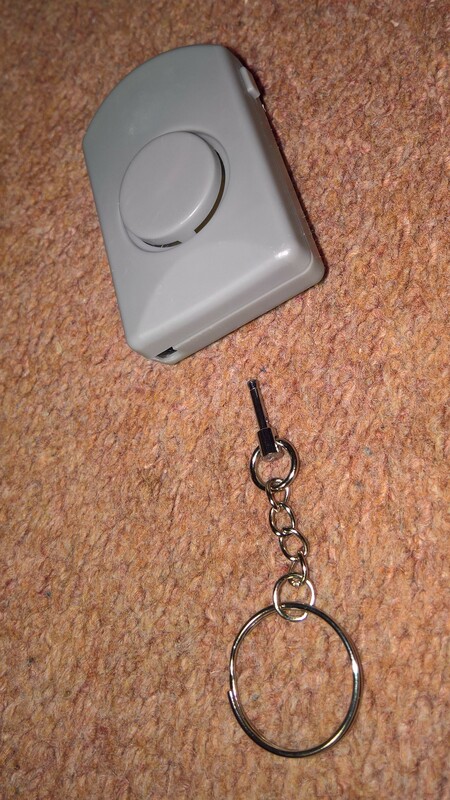 A simple and effective anti theft alarm that you can get from a pound shop is a personal attack alarm where if you pull the pin out the alarm goes off. Connect the pin say to your chairs if left outside over night (if camping in a dubious area) and anchor the body to the ground and if the chair gets moved and pulls the pin the Alarm is activated. Hopefully scaring off any tea leaf and saving your chair. Well that’s the theory!! … and it’s only a quid.